and also under my fingernails"
It should not be forgotten that over 95% of gardens in the UK are created without any professional help at all. There may be times when you want to call me, for example: when you have just moved to the South West and you want to know what is in your garden, what else you can grow, and how to make your garden suit your own style. I also get calls when an extension has been built. It can throw the existing garden out of proportion. You may be at loggerheads with your partner as to the best way forward – I can come and defuse the situation and suggest solutions that will suit you both. I haven’t yet had to divide a garden down the middle and create His ‘n’ Hers gardens, but there is always a first time. Generally, if there is hard landscaping required, or changes of level and a landscaper needed to install the solution, we need to go down the full garden design route and produce scaled plans, sections and constructions details. 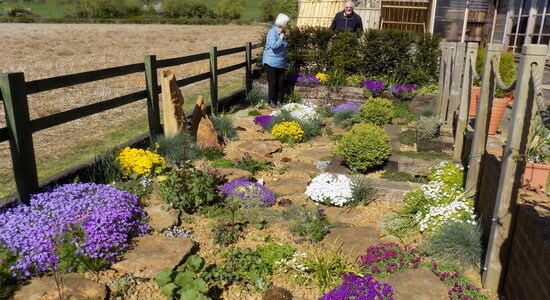 "Should anyone wish to have their garden freshly designed and created, they can do no better anywhere else than to ask Kathy if she can undertake a project for them"
"WOW! Thank you so much for such a great evening. Everyone thoroughly enjoyed it and said on their way out - That was the best talk so far in the year. So I imagine your ears were burning." "Thank you so much for your hugely entertaining and enjoyable talk on Wednesday. 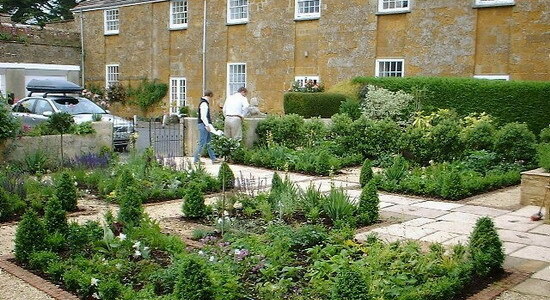 You give us lots of ideas about how to ensure we rule our gardens, not the other way round."